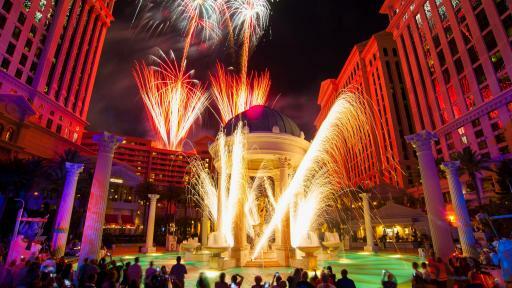 In honor of its 50-year legacy at the center of the Las Vegas Strip, the iconic Caesars Palace celebrated its golden anniversary with an opulent birthday pool party, featuring a five-tier cake, champagne toast and a 10 minute fireworks extravaganza hosted by award-winning chef Gordon Ramsay. 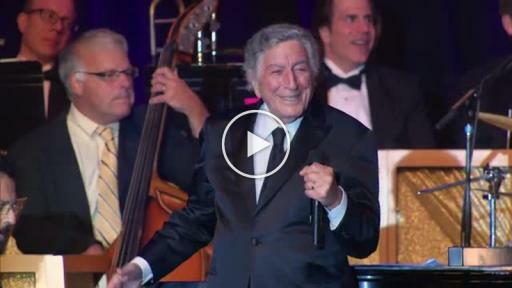 The anniversary festivities continued on Saturday, Aug. 6 with a once in a lifetime gala headlined by world-renowned entertainers Tony Bennett, Jennifer Lopez, Howie Mandel, Wayne Newton, Donny & Marie Osmond, Matt Goss and The Righteous Brothers. 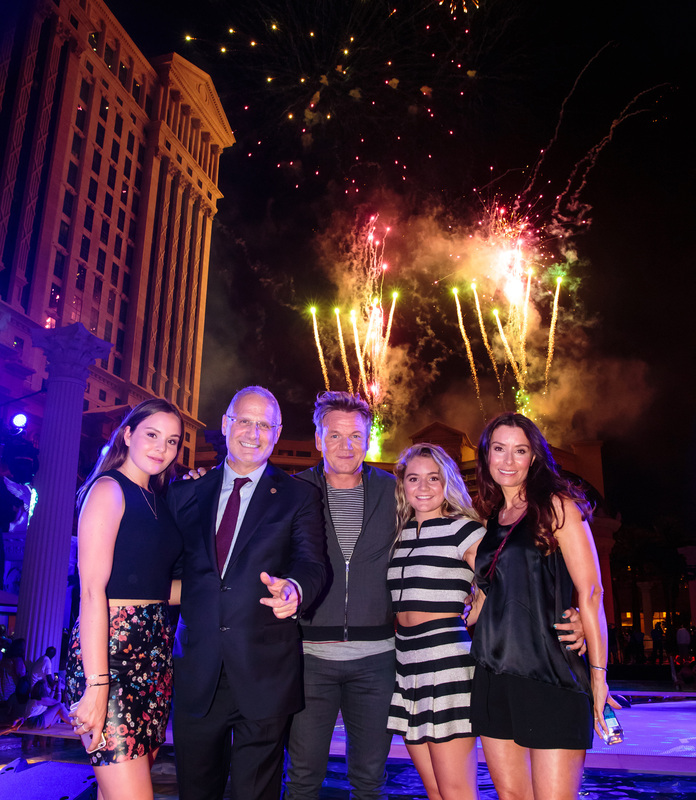 Special Icon Awards were also presented to honorees that have helped shape Caesars Palace’s rich history, including Calvin Harris, Gordon Ramsay, Celine Dion, Elton John, Jerry Seinfeld and more. 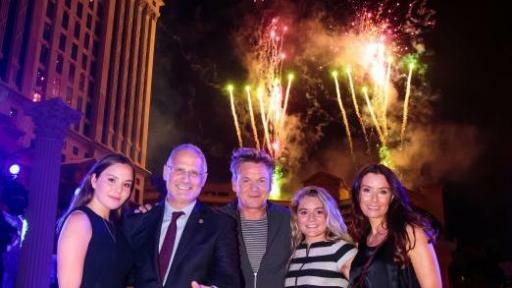 On Saturday, Aug. 6, Caesars Palace continued to commemorate its rich history of world-class entertainment and iconic sporting events and stunts with a red carpet arrival and Grand Gala event for nearly 3,000 invited VIP guests. Donning an Antonio Berardi outfit, Planet Hollywood Resort & Casino headliner Jennifer Lopez made a surprise appearance during the opening of the gala among a flash mob led by showgirls and a full orchestra and wished the legendary resort happy 50th anniversary. Tony Bennett, who was the second performer to ever appear at the Circus Maximus Showroom in 1966 and in 1969 was the first and only entertainer ever offered a lifetime contract to perform at the trailblazing resort, headlined the extravagant evening and received a Caesars Palace Icon Award. 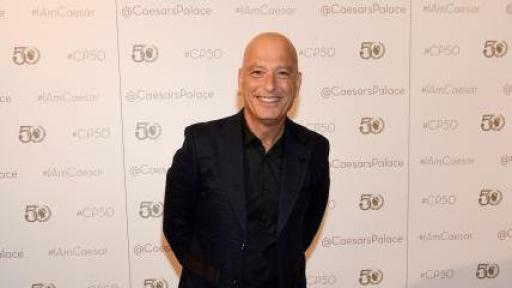 Comedian and actor Howie Mandel, who previously appeared at the original Circus Maximus showroom and served as Master of Ceremonies for Caesars Palace 30th Anniversary television special in 1996, hosted the evening’s festivities. Mandel also brought out a giant birthday cake to celebrate Bennett’s 90th birthday at the gala. 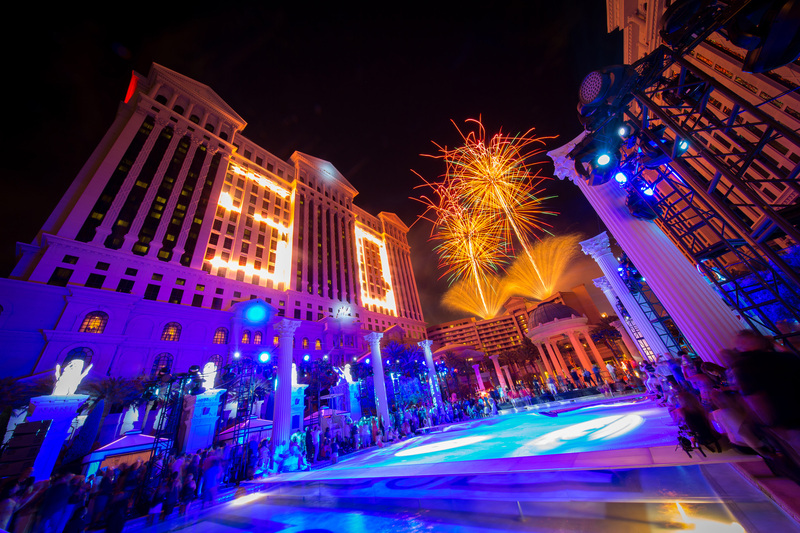 During the opening musical number, Caesars Entertainment headliners Wayne Newton, Donny and Marie Osmond, and Matt Goss performed “Viva Las Vegas” on stage together, while The Righteous Brothers performed “Time of Your Life” and “You Lost That Lovin’ Feeling” later that night. 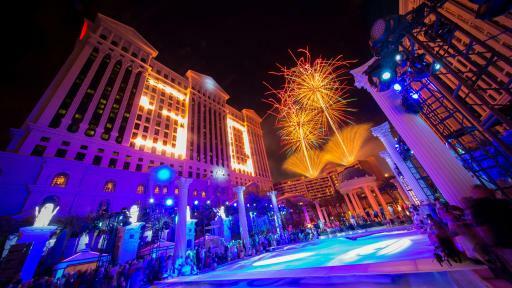 A cappella group MO5AIC (Mosaic), winners of “MTV's Top Pop Group” and semi-finalists on “America's Got Talent,” performed a medley of headliner songs throughout Caesars Palace’s history as well. 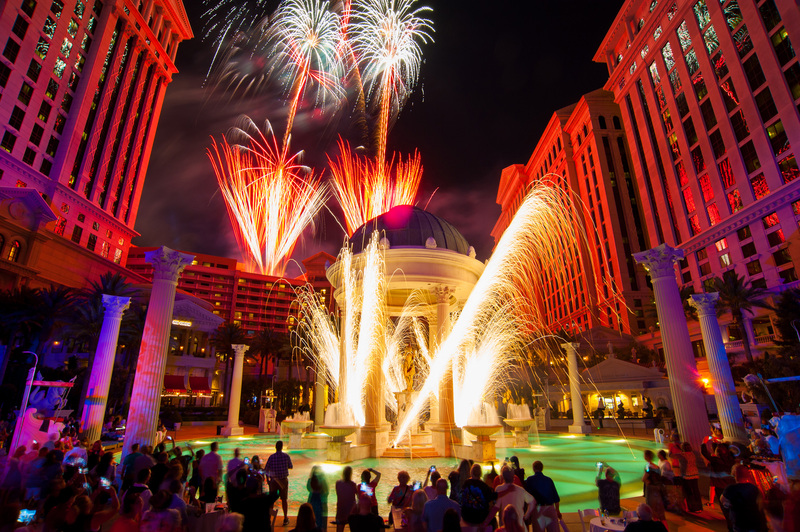 Throughout the evening, Caesars Palace recognized iconic individuals who have made significant contributions to its colorful history and shaped the enduring legacy of the world-renowned resort. The Jay Sarno Family, who showcased a display of personal memorabilia during evening, received the Founder’s Icon Award. International Boxing Hall of Famer Thomas “Hitman” Hearns presented an Icon Award to Rasheda Ali in honor of her father, Muhammad Ali. Additional recipients of the Icon Award included: OMNIA Nightclub headliner Calvin Harris, Gordon Ramsay, the Knievel Family, Larry Ruvo and Caesars Palace President Gary Selesner, as well as The Colosseum at Caesars Palace headliners Celine Dion, Elton John and Jerry Seinfeld through acceptance speech videos.